If you noticed dandruff on your dog, you may be wondering if there are any home remedies for dog dandruff. You are at the right place! Just like humans dogs can get dandruff too and it can become particularly visible as you groom your dog. Just as in humans, dog dandruff is composed by scales of dead skin and it’s often an indication of dry skin. Knowing what causes dandruff in your dog in the first place, can help you arm yourself with some good old home remedies, here are a few. Make Sure it’s Really Dandruff! I first learned about chelytiella when working at the vet’s office. When dog owners made appointment for dog dandruff, we would ask dog owners to take a closer look to verify if the dandruff was by any chance moving. Why? Because chelytiella is a type of mite that looks like dandruff. The similarity is so striking that these mites are often referred to as “walking dandruff.” If you notice walking dandruff, see your vet: chelytiella mites can be contagious to humans. As with many other skin conditions, it’s always best to see your vet so to determine the underlying cause for the dandruff you are noticing. Dandruff may be due to dry skin, but why is the skin dry in the first place? Trying to rid your dog of dandruff when it’s caused by an underlying skin problem such as an allergy or presence of parasites, won’t likely get you anywhere if the underlying cause isn’t addressed. Many times, dandruff is mostly seen in the winter when dog owners crank up the heat and the home environment becomes quite dry. This can lead to dry, itchy skin with scales of dandruff. If this is the case, cranking up those humidity levels by investing in a humidifier may turn helpful to your canine companion’s skin and his beloved owners too! If your dog is itchy and his skin is dry with loads of visible scales, you may feel compelled to give him more frequent baths, in hopes of removing those unsightly flakes. Turns out though that this may aggravate the problem. When a dog is bathed too frequently, his coat is stripped from natural oils that help prevent it from drying. A once-a-month bath in the winter and twice a month in the summer will often suffix, suggests Scott Weldy, a veterinarian working in El Toro California. The choice of water and shampoo can make a difference though. Choose warm water over hot and use a medicated shampoo designed for dogs with dandruff. These often contain sulfur or salycyclic acid. Don’t want to use a medicated shampoo? Use colloidal oatmeal instead, as oatmeal helps lock in moisture for a healthier looking skin. 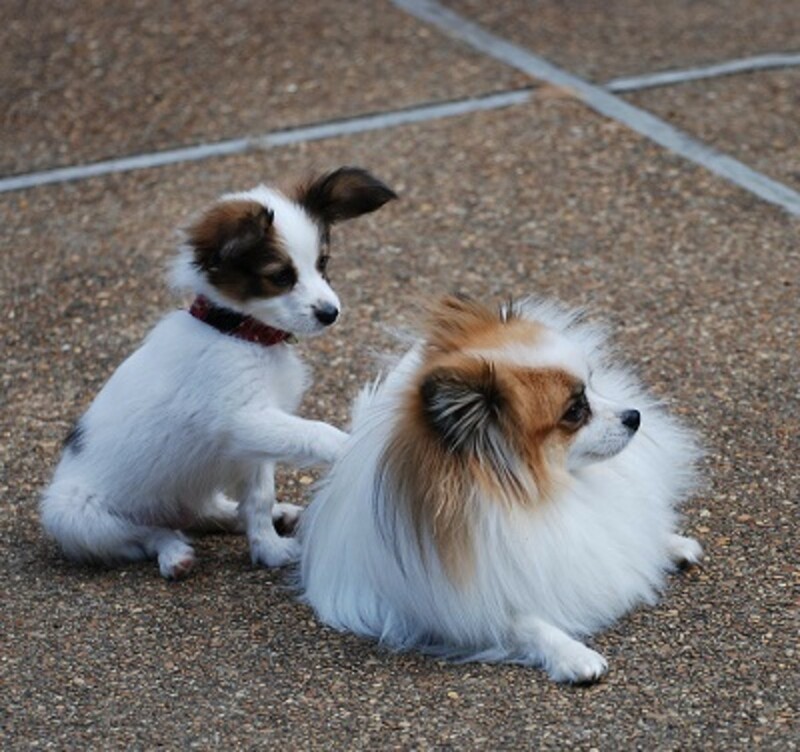 Brushing your dog doesn’t only remove dead hairs; it can be a wonderful bonding experience and it allows you to inspect his coat. On top of that, brushing help you distribute natural oils that help cut down the amount of dandruff. Make sure you choose a brush that isn’t too harsh and make the brushing experience pleasant with your dog by talking to your dog and rewarding him with healthy treats made for skin and coat..
Dull, poor looking skin is often seen in dogs fed cheap, generic foods. These diets often fail to provide the entire range of vitamins and minerals your dog needs to look and feel wonderful. Often, these cheap diets are filled with fillers, additives, preservatives and artificial flavors. Many dog owners report a healthier looking skin once they switch to a high quality, brand premium food. To heal your dog’s skin from the inside out, you can’t go wrong with the addition of omega fatty acids. These fats are known for helping maintain a healthy, shiny skin. If your dog’s food isn’t already supplemented with healthy omega 3 and omega 6 fatty acids, it’s not a bad idea to ask your vet for advice on adding these skin healthy fish oil supplements.